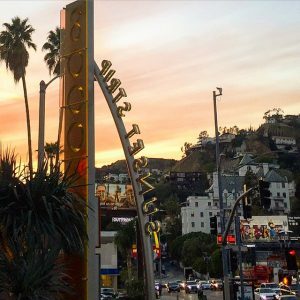 Everyone has heard of Hollywood and Beverly Hills, but few people realize just how much is happening in West Hollywood. We often say that Los Angeles is built with many cities within a city, and the City of West Hollywood is truly one of the many gems. Incorporated as its own city in 1984, West Hollywood, or WEHO, is known as “the creative city,” and is loaded with some of the most famous landmarks and restaurants in all of L.A. 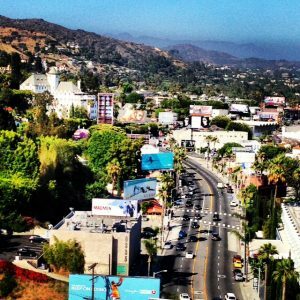 Some of the most well-known streets in the area travel through the city, and they include Santa Monica Blvd, Melrose Avenue, Robertson, and of course, the world-famous Sunset Strip. The city is bordered by the City of Beverly Hills on the west, and Hollywood, Los Angeles, on the east. 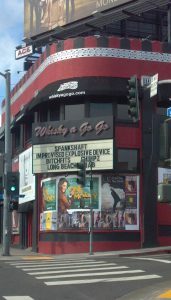 Look to Sunset Boulevard for rock n roll venues like The Whisky A Go Go, The Viper Room, The Roxy, The Rainbow Bar and Grill, and 1OAK. (The Troubadour is one block down). Santa Monica Blvd is one block south of Sunset. Its nightlife scene is huge, especially with gay-friendly clubs and bars. 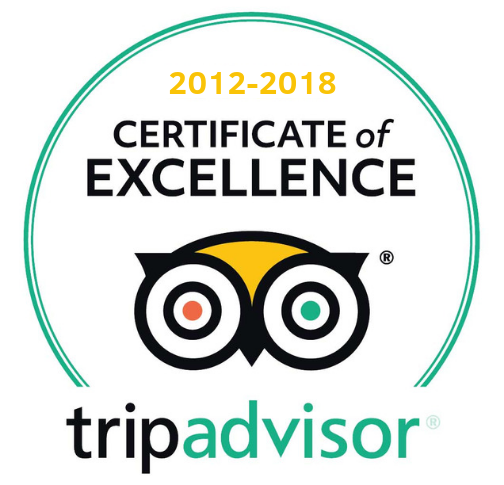 Look for names like FUBAR, Hamburger Mary’s, Marix Tex Mex, Gym Bar, Trunks, Micky’s, Rage, Flaming Saddles, Revolver, The Abbey Food and Bar, Mother Lode, and The Chapel at The Abbey. Even Lisa Vanderpump from Real Housewives of Beverly Hills is associated with a handful of bars and restaurants along this stretch, including, PUMP, Tom Tom Bar, and Sur and Sur Lounge. 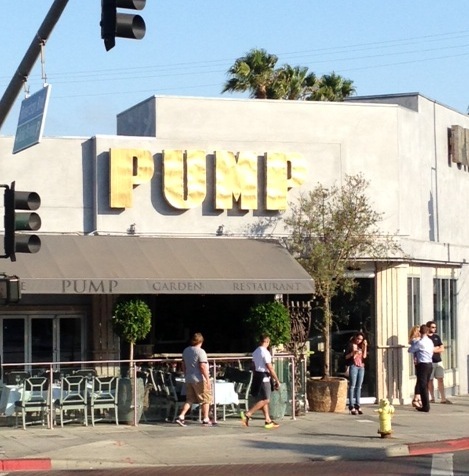 West Melrose Avenue is home to The Pacific Design Center, luxury designer brand shopping, boutiques, and great celebrity-filled restaurants like Craig’s, Cecconi’s, Urth Caffe, and Catch. In two short blocks, Robertson Blvd travels through three cities…Los Angeles, Beverly Hills and West Hollywood. This street is also fantastic for dining and shopping. Look for great restaurants here like Il Piccolino, The Ivy, Pizzeria Il Fico, The Henry, and Petrossian. 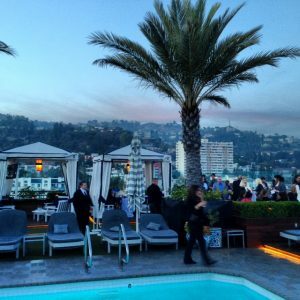 Hotels in the general vicinity include The London West Hollywood, The Kimpton La Peer, Le Parc, The Andaz, The Mondrian, Ramada Inn and Suites, The Jeremy, Chamberlain, Petit Ermitage, The Chateau Marmont, and Sunset Tower. Even before becoming incorporated, the area that is West Hollywood, has always been the playground for celebrities and the rich and famous. This goes back to the gone-but-not-forgotten landmarks like Schwab’s Pharmacy, Garden of Allah, Pandora’s Box, Ciro’s, Trocadero, Gazzarri’s, Dino’s and Villa Nova. Visit West Hollywood, and see for yourself. All you have to do is grab a sidewalk table along the Sunset Plaza section of the strip, and you are more than likely to catch a celebrity dining, walking, or driving by in their Tesla or on their Harley. You might even see one getting arrested. It’s where it all happens! For more on visiting West Hollywood, see the official website for WEHO. 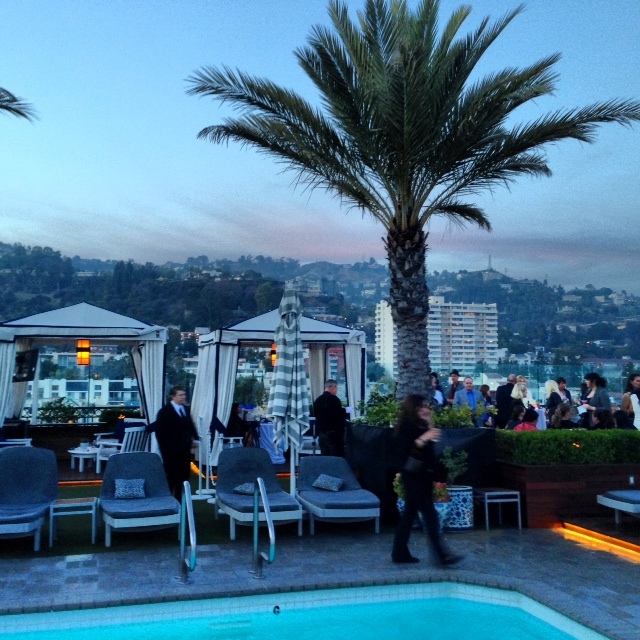 Take a tour of West Hollywood with Glitterati Tours. This can include the general area, as well as the celebrity homes in the hills to the north. Thinking of moving to this amazing city? We even have a house hunting Los Angeles real estate tour with a licensed professional that can showcase properties in the city.